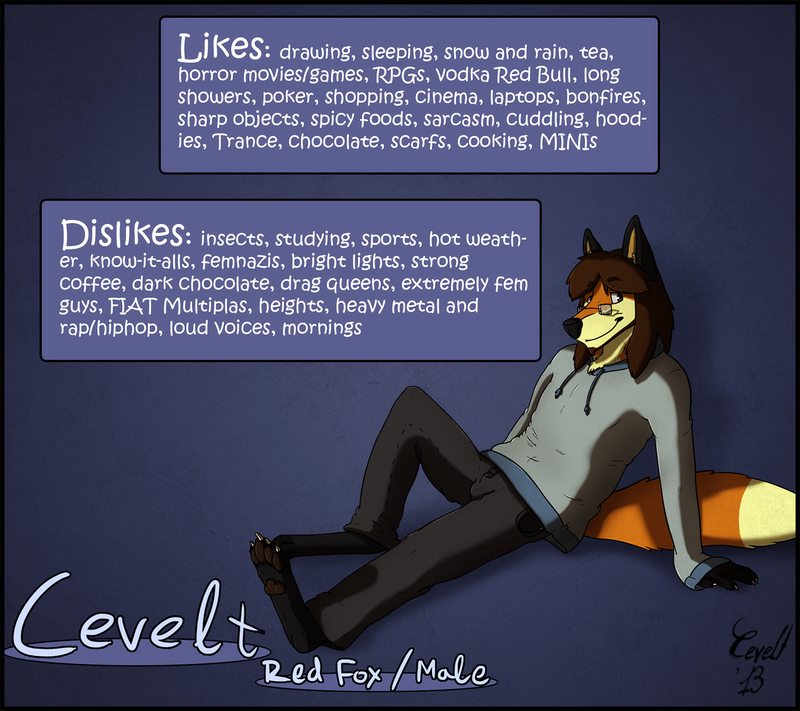 I really like how Cevelt came out in this :D Also I keep adding things on him xD new entry the beard, since I am almost always with a beard I decided to move it to my sona too. Eitherway here I am I suppose! p.s. I think that I will add this Like/Dislike sheet at my commissioning options!